I've been visiting your blog for the past few months, it has lots of interesting information! 1. During the 1970's were all flight suits in orange or was it only fighter crews that were orange flight suits? 2. Were any machine guns ever mounted on the cabin of the Nuri or was it only the Alouttees that were armed? 3. I saw the photo of the cert you received from Sikorsky. Was it standard practice during that period, for Sikorsky to award certs to Nuri pilots after a certain numbers of hours had been flown? 4. Question about S.E.A, Helicopters, that did rotary basic training. What helicopters did they use and were the instructors foreigners? 1. From what I know, the 'orange' (dayglow) flying suits were normally worn by the fighter pilots and instructors, QHI & QFI. The normal practice by the QHIs was to wear only during training, NEVER IN THE OPS AREAS. I may be wrong, but I can't remember reading any directive regarding this dress code. 2. Nuri was never fitted with any sort of weapons. The only fire power made available to the Nuri were 2 commandos from the Air Rescue Team. And, we were escorted by Alouette 111 Gunship, mounted with 20mm cannon. 3. Sikorsky awards certificates/pins to pilots upon achieving certain number of flying hours, eg, 1000 hrs, 3000 hrs. 4. Basic training - Bell 47G: Instrument phase - Jetranger 206: Advanced phase - Alouette 111. During Advanced phase, there was one Malaysian instructor - the late Capt Nasir Ma Lee: the others were Americans. Refer to my latest posting. Thank you for taking the time to answer my questions, much appreciated. I've really enjoyed reading the various articles on the Nuri and the various experiencies and photos you have compiled in your blog - looking forward to seeing more! If you don't mind, I have a few more questions. 1. Do you know the serial number of the Nuri that was shot down at Gubir? 2. Was it ever officialy announced by the RMAF if the Nuri at Gubir was brought down by small arms fire or a grenade launcher? 3. 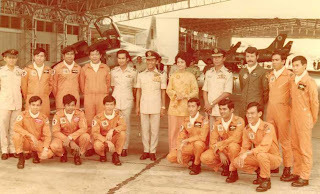 During joint operations with the Thai army, did the Nuris and Alouttees operate from Thai territory or did they only fly over Thai airspace but took off from Malaysia? co-pilots course only conducted by 10 Squadron or by all the Nuri Squadrons? 5. Did the Nuri have the ability to perform landings on water? 6. 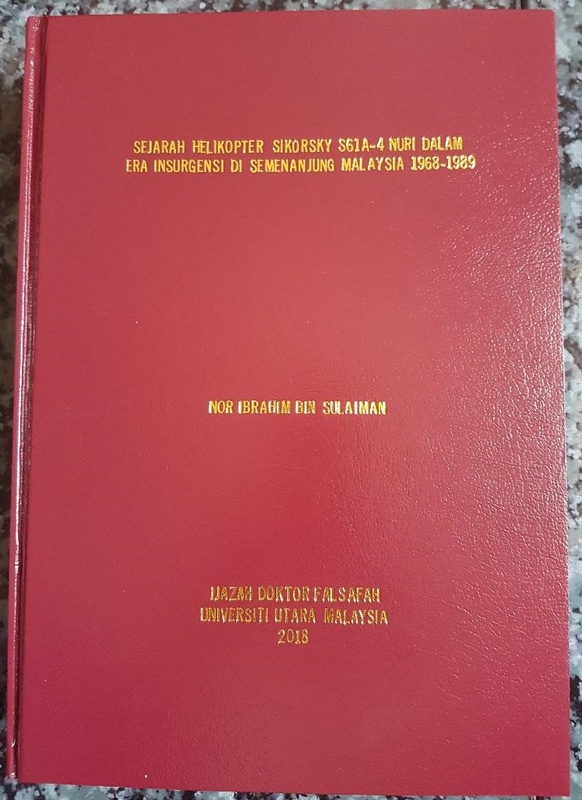 Up till the 70's, were any Sikorsky technicans/engineers based in Malaysia to help provide support for the Nuris? 7. In the composite squadrons, were all Nuri Aloutee 111 pilots qualified to fly the Nuris and vice versa? 1. No. I don't know the registration # of that Nuri. 2. Based on the comments by those at the LP when the Nuri was on the approach to land, they heard sounds believed from small arms. 3. From my personal experiences, we operated from Malaysian soil, eg, Combined Task Force HQ for Selamat Sawadee Ops was located at Kroh (Pangkalan Hulu). 4. OCU (Operational Conversion Unit) was co-located at No 10 Sqn, RMAF Kuantan. 5. Yes, Nuri is designed to land on water state 3. The floats are located at the sponsons. However, I never had any experience on water landing throughout my flying career. 6. When I first became a family member of No 10 Sqn, there was no Sikorsky representative whatsoever. The sqn was fully Malaysianized. 7. Not necessarily. During my time as OC No 5 Sqn, Training Officer was cleared to fly both types of helicopter. There is a photo of a Nuri that has made a water landing, in your blog - [Thursday, March 31, 2011 Terembu Semarang Barat Kecil]. This is very interesting as I'm not sure if any similar photos have ever been shown anywhere else. Also, I have your account number and phone number. Do you still have copies of your book? 1. The Nuri in that article was not floating on the water; it appeared as though it was floating. I suppose the main reason why we were not cleared to practise water landing was to prevent electrical instruments, eg, radios, invertors, battery, etc, in the 'nose compartment' from getting damaged. This compartment would be underwater during this exercise...Wallahualam. 2. The troops on the ground made the request through their higher commands to BASO, representative of Air Commander and located at the Bde HQ. It's up to him. We were just plain workers and complied with whatever task given. 3. Thank you for your interest in my book. Regrettably, the books have all been sold out. I found out the serial of the Nuri that went down at Gubir. It was FM1703. Thank your for your comment. I don't think the heli that was shot down was FM1703. This heli was flown by Lt (U) Murad, 2Lt (U) Rosli & the late Sgt leong on 17 Apr 1976 from Gubir Camp to the CTs' camp. While hovering for the commondos to abseil down, the heli was shot by the CTs. Lt (U) Murad managed to fly his crippled heli back to Gubir. A couple of the passengers were wounded. This heli was left at Gubir for repair. 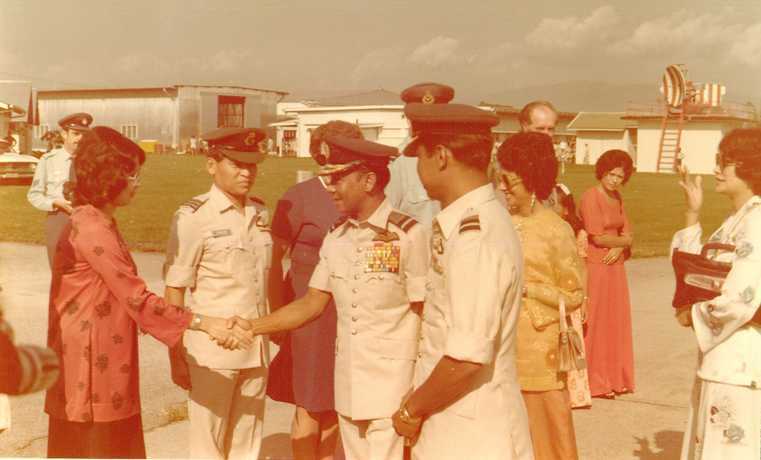 On 26 Apr 1976, the late Capt (U) Choo & arwah Capt (U) Mustaffa were tasked to fly FM1703 back to Butterworth Base. Unfortunately, they were killed in the tragedy. 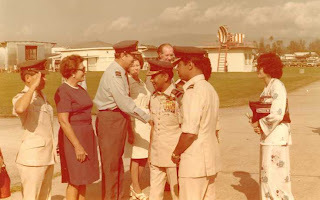 Lt (U) Murad flew FM1703 to the Base on 26 Apr 1976. Refer to my book page 81. Thank you for correcting the error. The serial of the Gubir Nuri was taken from this link. Below is an article about the Nuri, taken from a blog. Thought you might find it interesting.